GMs do a lot of important things at the game table, beyond just bringing and running the adventure: they play NPCs, they invent and describe interesting locations, they look up rules and judge rules diisputes… and so on. If you’re playing without a GM, how do you make sure all these things get done? Well, it’s actually surprisingly easy. Some collaborative play groups handle this implicitly, simply picking up the slack wherever it’s needed – and that’s probably the best way. But if your group needs a bit of a push in this direction, then please feel free to use these Distributed GM Role Cards. They’re designed to help the group have fun without a GM. In this system, each player draws one of these cards at the start of each session. This means that, in addition to the special powers that all players have, each player also has the power to perform one of the GM’s usual functions. There are five cards. If you have more than five players, or fewer, don’t worry – these are meant to be reminders, more than anything. Just double up! Note that all these all these roles cards are optional and adjustable. Your group might not need them – or might need a different set. Mix it up! When the GM was dismembered and the pieces were handed out to all the players, you got the GM’s deep inner rules lawyer. Your job is to determine which rules apply when, and to make sure they are applied in fair and fun ways. Any time a rule is needed, you should look it up. 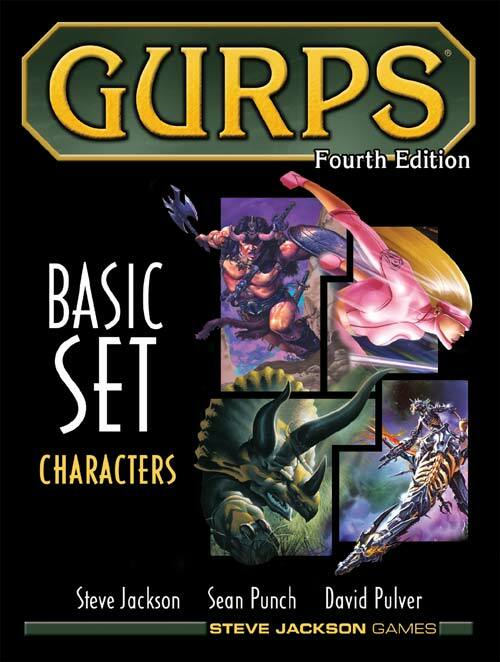 Keep the GURPS books handy! You can also assign others to look it up, if you’re otherwise engaged. Any time a dispute over the rules arises, you get to decide which rule should apply. Do this quickly, so as to get on with the story! Don’t worry about setting precedents – there’s plenty of time to come up with a more balanced ruling collectively once the session is over. Plus someone else will be probably be the judge next time, in any case. When the GM was dismembered and the pieces were handed out to all the players, you got the GM’s deeper inner casting director. Your job is to make sure the story is full of memorable, personality-filled characters. When the GM was dismembered and the pieces were handed out to all the players, you got the GM’s deep inner set designer. Your job is to make sure the story takes place in rich, interesting, and evocative locations. You’re responsible for rolling up new locations whenever required. You should keep the “Towns” tables handy, as well as the “Battlefields” tables, if you’re using them. (Note: I haven’t posted these yet.. give me time!) You should feel particularly encouraged to call for detail rounds whenever the PCs enter a new location, too! If there’s ever a question as to whether or not a particular person or object is present in the background of the scene, you get to decide it. Deciding randomly is often a good idea here! When the GM was dismembered and the pieces were handed out to all the players, you got the GM’s deep inner seriousness. Your job is to make sure the inevitable jokes don’t get in the way of the story. Special Power: No More Fun! Any time the players become distracted from the game by awful things like chit-chat, what they did on the weekend, or laughter, you have the power to insist they bring their attention back to the game. If necessary, you can wield your awesome powers by pointing at the jokers and shouting “Fun Police!” Hopefully this will not be necessary too often. When the GM was dismembered and the pieces were handed out to all the players, you got the GM deep inner archivist. Your job is to make sure the group remembers what was established in earlier sessions. You’re responsible for keeping a record of important new things established during the session, and for keeping the campaign records up to date more generally. Any time someone needs a recap of what happened last session, a reminder about part of the campaign world, or similar, you have the power to assign another player to do a recap. Again, your group may not need these cards at all – you might find that people just naturally step up to fill these roles, whenever required. If so, great! But if not, they’re here for you.